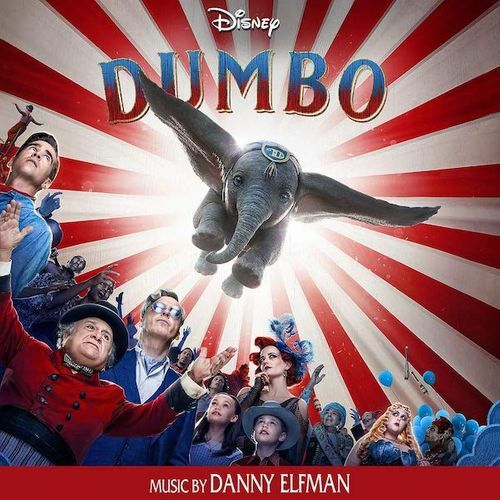 The Danny Elfman/Tim Burton combo once again knocks it out of the park with Elfman’s score for Dumbo. Evocative and appealing, the score balances lighthearted moments with the more ominous set pieces — we can feel the joy of Dumbo’s flight, we can feel the technicolor hilarity of the circus. Elfman’s new works sometimes reference the classic, instantly recognizable songs from the original film, with elements from “Elephants on Parade” and “Casey Junior” winding their way into the new score. In addition to Elfman’s orchestral score, this album also features two versions of the song “Baby Mine": an acoustic ukulele version with vocals by Sharon Rooney (as heard in the film) and a cover by Arcade Fire.